Do you remember the game show Supermarket Sweep? 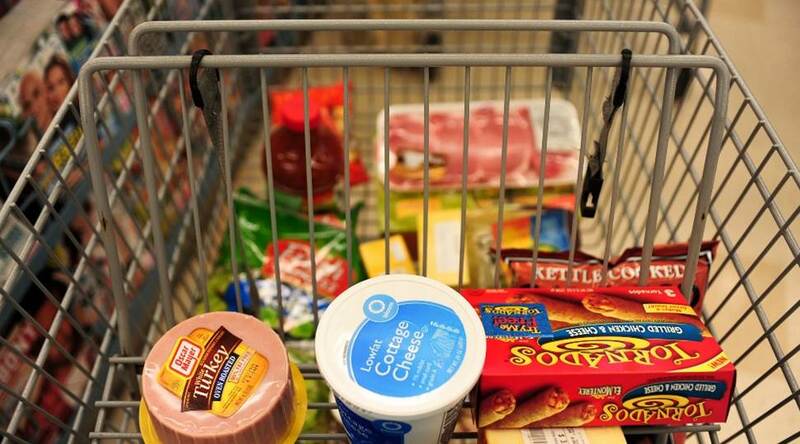 In it, teams of shoppers would race through the grocery aisles competing to fill their carts with the most expensive items within a time limit. The show turned what many considered a dull weekly chore into a race against time. Back when Supermarket Sweep first aired in the sixties and later when it was revived in the early nineties, the weekly shopping trip was a typical mainstay for most American families. That was a time before the super centers, small format discount grocers, online shopping and expanded grocery options at your local drug store. Now it seems like everybody wants to get in on the grocery action. That competition means more options than ever for the consumer and often lower prices too. It also means a growing segment of grocery sellers are focused on creating a unique shopping experience in order to attract loyal customers. For players in the grocery sector, this stiff competition has meant a tough battle in three main arenas: price, convenience and experience. This led to strong expansion of limited assortment discount grocers, a modest expansion of high-end grocers and new web-based sales options from old and new retailers alike.The victors in this war are as yet undetermined, but the overall impact on retail real estate is clear. Across the nation, new demand from grocery-oriented users has propelled much of the new retail construction. While retail construction levels overall have remained modest since the recession, they are growing annually at sustainable levels. Of the more than 81.0 million square feet of new retail space built in 2015, 77.5 percent fell into two broad categories: freestanding retail buildings (50.9 percent) and neighborhood and community shopping centers (26.5 percent). In other words, more than two thirds of new construction occurred in categories dominated by daily needs retailers including traditional grocers, limited assortment grocers and super centers. Existing neighborhood and community centers clearly see the benefit of grocery sector demand. The national vacancy rate in those centers dropped by 60 basis points over the year 2015. These centers absorbed over 376.5 million square feet of space, more than half of all the retail absorption for the year. This is good news for a type of retail property that has seen higher vacancy rates. Neighborhood and community center vacancy fell to 8.8 percent in 2015, higher than the overall U.S. retail vacancy rate of 5.6 percent. Asking rents in these centers have been climbing too, although not at the same rate as other retail property types. The Q4 2015 national average asking rent for neighborhood and community center space was $14.37 per square foot, a 1.3 percent bump over last year. The supermarket and grocery store industry saw $10 billion in profit in 2015 , yet future growth prospects are rather modest. IBISWorld projects that the industry will grow by an average annual rate of 0.8 percent from 2015 to 2020. One reason for this is the fact that American consumers have seen little shift in what they have spent on shopping trips. In terms of real dollars, retail and food service sales have shown only modest growth. Check back for part two later this week to learn how grocers sellers will have to fight tooth and nail in order to prevail in each arena: convenience, price and experience. Categories: Agency Leasing, Americas Retail, Development, Point of View, Retail Transactions, Retailers and tagged competition, Construction, discount, Grocery store, high-end, James Cook, JLL, research, retail, sales, Supermarket.